In our special Java Daily edition we would like to introduce you to Markus Eisele. He was kind enough to share his experience on 5 Java related questions. Markus is a Java Champion, former Java EE Expert Group member, founder of JavaLand, reputed speaker at Java conferences around the world, and a very well known figure in the Enterprise Java world. With more than 16 years of professional experience in the industry, he designed and developed large Enterprise grade applications for Fortune 500 companies. As an experienced team lead and architect, he helped implement some of the largest integration projects in automotive, finance and insurance companies. More than 12 years of international speaking experience and 5 years in developer advocacy with a strong focus on Java platforms helped him build a large network of professionals and influencers. He is an O’Reilly author and helped with technical reviews of more than 10 books about technologies he cares for. He published more than 100 articles in various IT publications over the last 10 years. Java Daily: Which 3 books would you recommend? This is a little dated but still the most accurate and relevant deep-dive into JVM internals. A must read for Java developers. A great overview about modern Java and the individual parts. I love the broad coverage and the fact that all authors are insanely experienced Java developers. The bible probably. Something every Java developer should read at least once. Java Daily: Why did you choose Java? Markus: Funny question. As usual, I didn’t. Java chose me. I actually started with Basic, Pascal and Perl before I sunk my teeth into Java. And I can’t really say that it was a love-story from the start. I fell more in love with the Java EE (J2EE back in the days) specifications and the application server concepts first. Java Daily: What were the steps you took to reach the point where you are now in your career? Markus: It all started out as a hobby. While other kids have been playing games, I was spending my nights implementing a simple ERP system in Basic for a friends company. I developed excitement for this internet thing very early and went from static web-pages to dynamic backends within a couple of months. A couple of years of studies in information technology laid the foundation for my first job in a small web development company. I quickly outgrew the small subsidiary and was called into the mothership of a German ISV where I earned my first stripes. Opportunities and challenges just got bigger from there and after fourteen years I decided to make “sharing my knowledge” my main job and joined the Developer Relations team in Red Hat’s middleware business unit. These steps seem easy and straightforward enough, but honestly, the main thing during all these years was the constant excitement and will to learn more. To keep my knowledge up-to-date and relevant. The second biggest topic was the constant strive to share the lessons I had learned. Blogging and speaking at conferences quickly became something normal for me. I always wanted to go out and talk about failures and successes I’ve seen in the projects I had the pleasure to join. Java Daily: Should we remove checked exceptions from Java? Markus: I was told to not talk about religion or politics in interviews. And this topic kind of falls into these kinds of categories. My general perception is that there are many technologies, patterns and best practices out there and the most important job of a developer is to understand when to use which for what. The times where we all could rely on extensive guard rails (like the Java EE specification) are nearing its end and the ability to choose technology and its application in certain circumstances is more and more important. I think the decision in this particular case will be driven by usage over time and shouldn’t be dictated as a mean of providing easier guard-rails. Java Daily: What are the security threats within Java? 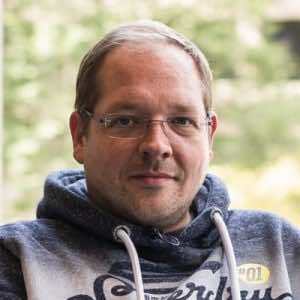 Markus: The biggest ones in the past have been the client runtime and the integration into web-browsers. As this belongs to the past, I believe that Java does not make a particular difference to any other backend software or runtime. The fact that we have the OpenJDK and a dedicated security group that is watching reports makes me believe that it is in better shape that it ever was. Java Daily: What would you change in Java to better suit your needs? Markus: I would want to go back to the drawing board for the new release cycle. I honestly believe that a six month cadence is impractical for most enterprises to follow through on. One might argue that there are still plenty of payed opportunities to get longer support cycles, but I think that is only one side of the medal. There’s also tremendous need to keep educating developers about new features which has to be accomplished within the same, short timeframe. Technically, I would love to see better container support. Things have improved and they will even further. But as orchestration tools and containers mature and are used more broadly I believe there is plenty of opportunity to make monitoring and scaling easier. Also, I really want to see project Valhalla as a part of the JDK as soon as possible. Is there anything else you would like to ask Markus Eisele? What is your opinion on the questions asked? Who would you like to see featured next? Let’s give back to the Java community together!